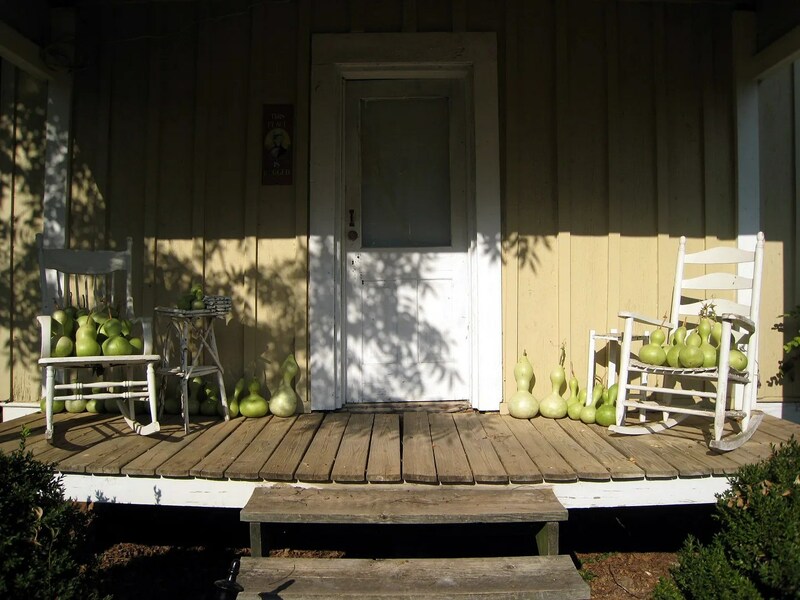 OK, so I got moderately distracted this past weekend and cut gourds off the withered vines and set them on Lizzie’s porch (for a few months of drying and curing). 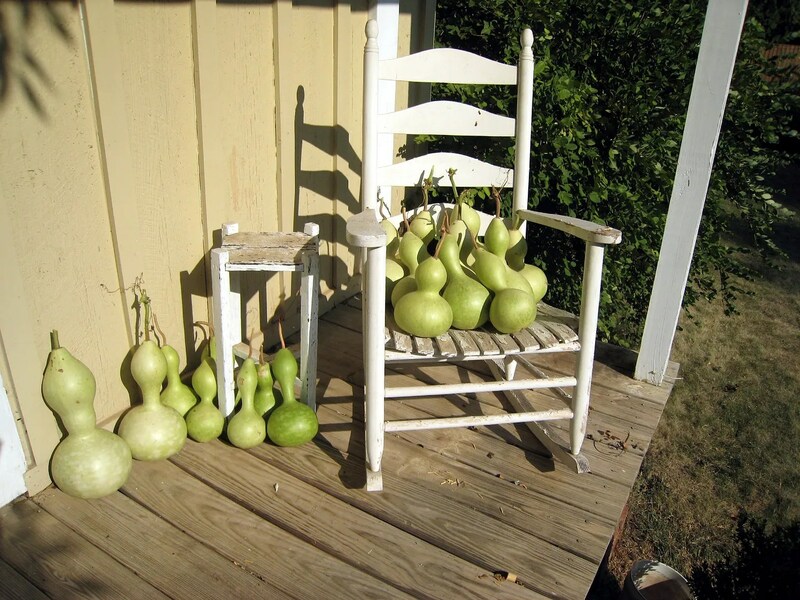 I’ve read that the gourds can be harvested when the “stems” turned brown and withered; they also can be left out until frost and harvested after the vines are completely dead. I chose to go ahead and harvest them. 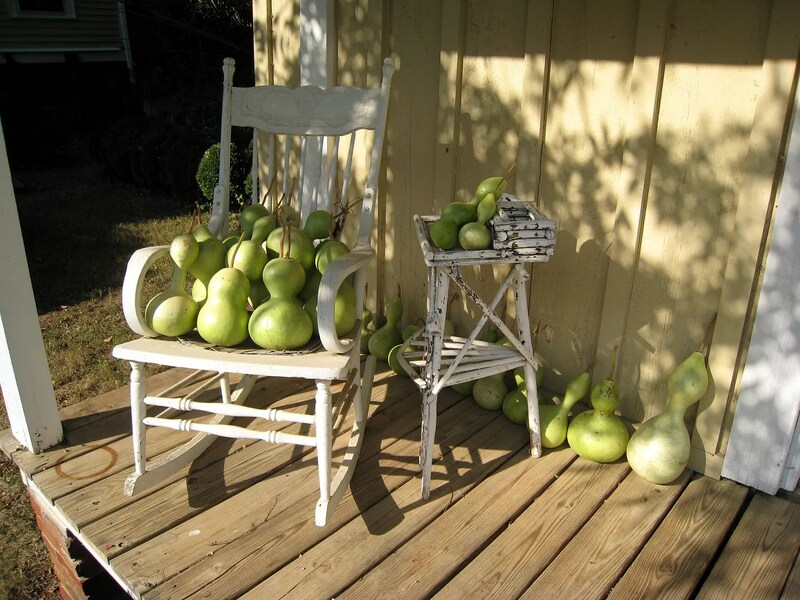 Actually, I just cut a couple and the next thing I knew the wheelbarrow was full x 2. Anyhow, they’ve made themselves all comfortable now; when I came back out and they’d moved up onto the chairs and the little ones were even up on the table. ← Where the h*ll is fall anyway?